A newly released report shows another sector of online publishers get hit by Google’s move towards secure search. Parse.ly, a content performance tracking company used by many major news sites and other online news publishers, released new data showing that Google is also withholding information from advertisers just as it is for everyone else. The keyword “not provided” makes up 87% of all Google organic traffic to some of the major news sites on the web. Google’s movement towards secure search, or what Parse.ly calls “dark search,” increased rapidly over the last three months. If you will remember our blog last month, we mentioned that the tracking website NotProvided.com predicted that the keyword “not provided” would reach 100% by December of this year. This is consistent with Parse.ly’s findings, which shows a 35-point increase in “not provided” keywords. Back in July, news sites were getting about half of their keywords from Google’s organic search, with the “not provided” keywords at 52%. That skyrocketed to 87% in September. The good news for online news publishers and other news sites is that they are not as badly affected by this information blackout as non-media business websites. The study shows that only 46% of their total referrer traffic originates from Google. 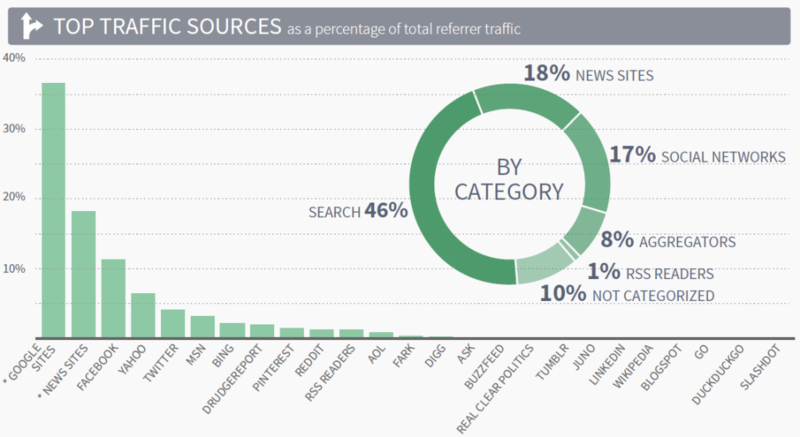 The other 54% comes from a wide variety of sources, with incoming traffic distributed well across different platforms. That you need to find ways to bridge the gap that keyword “not provided” creates in your performance report. We can easily do this for you – read this blog to learn more about what we do. That you need a more well-rounded profile of traffic sources. Major news sites and other online news publishers are not as badly hit because they spread out their online marketing efforts and widen their reach, allowing them bring in traffic from all kinds of sources. Their wide reach gives back information from various sources, so that if one source is blocked, they have other ways of analyzing their market. We’d be glad to help you bridge the gap that Google’s keyword “not provided” creates. Talk to us today to get our managed solutions, and keep checking our digital marketing blog for more industry updates and tips!